Powered by multiple online gaming software technologies, Vegas Hero Casino has set the stage for an invincible gambling entertainment! Uh oh! It seems Vegas Hero Casino is not available in United States. Find Similar options below. We give you an access to the latest offers from Vegas Hero Casino ! Make a Deposit in the last 7 Days & Claim Exciting Bonuses at Vegas Hero Casino! The Vegas Hero casino platform only came to light in 2017, so it’s operating as one of the newer online casinos. That being said, it is a part of the Genesis Global group, so it’s in good hands. Furthermore, to ensure that all players who access the site and play there are secure, the casino holds two different gambling licenses. The first one of these is on hand from the Malta Gaming Authority. Meanwhile, the second one applies to UK gamers, coming from the Gambling Commission of the country. While it’s true that these two licenses ensure that gamers are playing in a safe and fair environment, the site is also hosted on a secure server. Therefore, all transactions take place in a completely encrypted and safe location. 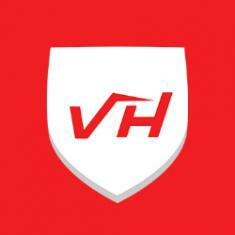 There are a few software providers who are offering their games up to the Vegas Hero site. These include Microgaming, Play’n Go, Quickspin, Netent, NYX Interactive and Evolution Gaming. This means that you’ll have a wide range of different games to access and enjoy. They range from slots and progressive jackpots through to table games and live dealer offerings. Alongside all of this, there are multiple promotions that you’re able to enjoy as you play. There’s even a welcome offer for newcomers of up to £1,000 and 50 Free Spins. Naturally, these aren’t the only perks to the online casino, as it hosts a great support team, nice choice of banking options and more. Mobile gaming is also possible at Vegas Hero. You can simply navigate to the website by inputting its address into your device’s web browser. This is possible from both smartphones and tablets. Doing so will give you an optimised view of the platform, ensuring that you get the best graphics and imagery for your handset. For the moment, Vegas Hero does not provide a downloadable app for you to utilise. However, the mobile version of the website is just as simple as the desktop version. and imagery for your handset. For the moment, Vegas Hero does not provide a downloadable app for you to utilise. However, the mobile version of the website is just as simple as the desktop version. Amongst the variety of games that can be found within the casino game lobby, you’ll find some live casino offerings too. Simply click on the ‘Live Casino’ link and you’ll get to see what’s on offer. The platform plays host to various incarnations of live roulette, blackjack, baccarat and poker. Some of the games that it plays host to include High Roller Commondraw Blackjack, Texas Hold’em Ultimate, French Roulette Gold, Roulette Live Dragonara and Blackjack Party Live. too. Simply click on the ‘Live Casino’ link and you’ll get to see what’s on offer. The platform plays host to various incarnations of live roulette, blackjack, baccarat and poker. Some of the games that it plays host to include High Roller Commondraw Blackjack, Texas Hold’em Ultimate, French Roulette Gold, Roulette Live Dragonara and Blackjack Party Live. Several different developers provide their games to the Vegas Hero casino site, including Microgaming, Play’n Go, Quickspin, Netent, NYX Interactive and Evolution Gaming. • A large choice of live casino games are available to play. • Huge collection of slots game to choose from. • All of the latest releases from these developers are available to access. This online casino plays host to a mass of different games from a strong selection of companies. And these companies are some of the highest in quality today. All of them are accessible via the game lobby, which comes with its own category navigation menu. This menu runs along the top of the lobby, providing you with access to the ‘Live Casino’ first of all. There, you can find multiple different versions of roulette, blackjack, poker and more. For example, there are titles like Three Card Poker, Immersive Roulette and Blackjack Multiplayer Common Draw II to access in live settings. You’ll then see the ‘New Games’ and ‘Hottest Games’ categories, which are fairly self-explanatory. The section for the slot games comes next – or rather, the video slots. In this category, you’ll find the biggest collection of titles that the casino hosts. So, you’ll be able to play such titles as Rich Wilde and the Book of Dead, Wins of Fortune, Gonzo’s Quest, Scruffy Duck and Immortal Romance. If you have more of a preference for playing progressive jackpot slots though, a separate section for these exists. Within, you’ll find games like Hall of Gods, Mega Moolah and Leprechaun Goes to Hell. Finally, there are separate categories for roulette-specific games and digital table games. Video poker games are also available at Vegas Hero, so you’ll find options like All American Double Up and Tens or Better there. Receiving a bonus for getting started is incredible in itself but what is even better is continuing to receive them right up until your 4th deposit! The welcome package at Vegas Hero Casino consists of $/£1000 and 50 free spins in entirety which is further spread across your first four deposits. Once you make your first deposit at the site, you will receive a match bonus of 100% up to $/£200 along with the 50 free spins which are applicable on a few selected games namely- Dazzle Me, Neon Staxx, Sparks, Glow or Stickers. 10 free spins (valid for 24 hours) are credited daily for five consecutive days starting from the time you make your first qualifying deposit. Your second deposit comes with a 50% bonus up to $/£200, while your third and fourth provide up to $/£300 each from 25% bonuses. Simply use the codes WHER02, WHER03 and WHER04 to claim the second, third and fourth deposit bonuses respectively. The excitement when you get rewarded for your credibility certainly has no match. The more you deposit and play at the platform, the more VIP benefits you get. And as you ascend the VIP ladder, you’ll earn more rewards and perks. These include a variety of possibilities such as a personal withdrawal service, exclusive bonuses, a dedicated account manager and holiday packages! Just keep playing at this online casino and watch as your VIP status escalates on the way! Nothing beats the excitement of seeing live dealers spread your cards like an expert. Bringing the best of both worlds together into its Live Casino option is Vegas Hero, where you can experience the thrill and fun of playing at a real life casino but from the comforts of your home. Sign up at the Vegas Hero casino to unlock your welcome bonus of 100% match up to $100 when you make your first deposit of minimum $10. Tuesday Bonus- This takes place every single Tuesday and it allows you to claim 25% up to £100 each time. Simply head over to the cashier on Tuesday, select the promotion from the drop-down menu and proceed to make a deposit. The bonus adds on to your balance immediately, so you can start benefitting from it straight away while you play your favourite games. Weekend Smash- Bid goodbye to boredom on the weekends which literally starts early, all thanks to the Vegas Hero's Weekend Smash offer. It’s a good idea to keep an eye on your email inbox, because it’s where that this special offer will be sent to you. This bonus is only available to players who have made a deposit in the last 7 days. Get smashing, true hero style! While some people prefer playing from a desktop computer, others have a preference for mobile devices to game on. Regardless of which, the sign-up process is quick and easy. So, choose your preferred device and you’ll be ready to begin. Once you’re at the Vegas Hero casino platform, you just need to click on the red ‘Sign Up’ button at the top of the website. This will bring forth a two-step procedure. First of all, you’ll need to create a username and password, as well as enter your email address. Then, you need to confirm that you’re 18 years or older by checking the box. The second step requires some more of your personal details, including name, phone number and address. Upon clicking the ‘Sign-Up’ button on this form, you will receive an email from the casino. Clicking on the link in this email will verify your account and email address. As we spoke of earlier, you need to have funds in your casino account before you can play. Pick one of the accepted deposit methods by which you would like to do this and proceed with the deposit. You’ll then receive the first part of the welcome offer too. Following the success of your initial deposit and bonus reception, you can start playing the platform’s games. Whether you prefer slots, table games or progressive jackpots, the Vegas Hero casino has them all waiting for you! I am a member at casino website from around this new year and have loved their slot games collection ever since. Infact the live games also interest me a lot and I love playing them without the need to go out, find a good casino when you can find very friendly dealers and nice games here. They explain the game rules befpre the start of each game which hardly anyone does. I hope my experience here goes well. Havent played any of the table games yet but overall experience has been great. I have just requested for a withdrawl 3 days back, it was approved yesterday which I think is fair enough. Now I am waiting to for my winnings to come in my bank account. A great site to play at. Although I was a bit skeptical when I signed up here since it is a new casino. But I must say I was quite surprised by what they have to offer – A great collection of games from some of the best providers like NetEnt, Microgaming and Play' n Go. Just like everything signing up and getting the account verified was easy well! Seriously there is nothing could ask them to improve. Everything seems so perfect – at least as of now! Vegas Hero is my hero. So many different software and so many games. This is a safe casino and has license for gaming. I got a $1000 welcome bonus package with 50 free spins in first deposit of $200. On Tuesday they give a 25%up to $100 bonus. You can play for fun too. I had best time with Mega Moolah at this casino. totally recommended. Though I admit i'm playing only because of Microgaming, it is a good brand trusted one. Please enter your review for the Vegas Hero Casino .